This article, quoting Don Franceschi, originally appeared on TollFreeForwarding.com. If you find the idea of standing in front of a crowd, presenting an idea or taking part in a discussion more than a little daunting, don’t worry. Leading a panel or speaking at a conference can be very rewarding with the right amount of preparation and practice. Many careers require you to give a talk, speak at a conference, join a panel or create a podcast. Of course, many business owners and senior managers explore different ways of promoting their brand, whether it’s providing expertise on their industry by presenting at conferences and expos or by ensuring their brand has a local presence with virtual phone numbers. Here, we take a look at the most common slip-ups, as well as insights on how to improve your public speaking skills from top industry experts. A speech is a formal type of public speaking and, done correctly, can be both inspiring and empowering. However, one of the main mistakes speakers make when presenting is forgetting to identify their audience before they take center stage. 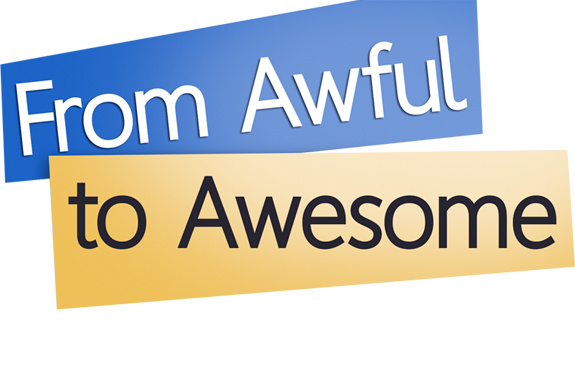 Don Franceschi, author of From Awful to Awesome: 9 Essential Tools for Effective Presentations, says: “You need to KNOW your audience before you can connect with them.” Research can arm you with knowledge on their background, gender and education and help you to enhance your speech. Another harmful mistake is failing to connect with the crowd. The next step is delivery. Speaking at a conference requires taking the stage and addressing a crowd. It can be anxiety-ridden, to say the least. You might have the perfect speech prepared, but if you fail on delivery, it won’t matter how great the content is. 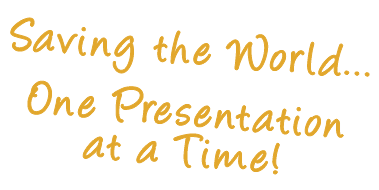 Many speakers tend to rush and ramble, but this will only alert the audience to your nervousness. So how do you work on your delivery? Don suggests, “The best way to prepare is to REHEARSE.” As tempting as it can be, winging it is not an option. To avoid this, record your speech and listen to your delivery. For maximum impact, you must focus on content and delivery equally. A panel is made up of multiple speakers, but that doesn’t mean your mistakes will be less noticeable. According to Alison Henderson, a certified moving pattern analyst at Moving Image Consulting LLC, “The worst appearance mistake is not checking on the venue ahead of time and wearing the same color as the walls or curtain.” When you are speaking in public, first impressions count, and a professional appearance is key. Always find out everything you can about your surroundings before you arrive at the venue. When it comes to panels, preparation is key. To avoid losing your voice, seek out opportunities to cut into the conversation, but know when to let others speak. To get the outcome you desire, make the content informational, yet entertaining. As Eric Rose, partner at Englander Knabe & Allen points out, “DO speak in easily understandable terms. Avoid jargon and technical terms if simpler words would do.” Your audience will engage with you as long as your content is relatable. Viewing your own speeches is one way to take note of any bad habits, such as the use of ‘you know,’ ‘um’ and ‘actually.’ Try self-critiquing your work regularly, and only include content that adds value to the listener. Put simply, round tables are a type of formal discussion, and the subject matter tends to lean toward academic. This type of discussion involves multiple people, and the atmosphere can be very competitive as every member attempts to have their say and get their point across. A faux pas when taking part in a round table discussion is dominating the limelight. As Terri Trespicio advises, “Complement someone’s point and add to it, for instance. On the other hand, be wary of taking up all the air in the room.” Work on perfecting the balance between getting your voice heard and talking too much. Unlike presentations where you present to a crowd, a podcast can be created in the comfort of your own home with only yourself and a recording device. If you are new to podcasts, it pays to remember that you are only as good as your recording equipment. Poor quality audio will drive listeners away, and if you have multiple hosts, it is important to keep sound levels and quality consistent. Another common mistake is not injecting enough enthusiasm into your speech. According to behavioral and marketing psychologist Dr. Elliott Jaffa, you should “Have a conversation with your audience. Do not script them out; that’s not the way we talk nor how an audience listens. Tell a story.” Carrie Sharpe, communication consultant and speaker, agrees. She states, “They want to be inspired. They want to hear stories of overcoming challenges and failures, and they want to feel like they can, too.” Since you can’t see your audience, you must use your tone of voice to keep them interested. Keep it upbeat! So, there you have it, our best advice on how to avoid common errors when presenting a speech or a discussion. Follow our handy guide to avoid these mistakes and create a speech that has a wow factor. Have you experienced any of these top public speaking errors? What are your biggest public speaking regrets? Let us know on Twitter @TFFSocial. PreviousPrevious post:3 Rehearsal Tips to Show You’re a Pro!NextNext post:Pauses are Powerful!